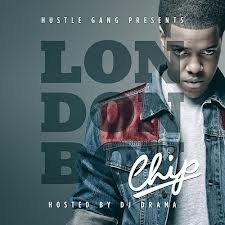 Chip is one of T.I. 's latest signees to the Grand Hustle imprint, hailing from the UK and drops a mixtape titled London Boy hosted by DJ Drama. Platinum Boy CEO and Bad Boy The Hitmen Multi-Platinum producer Amadeus lends a hand by producing the track "Under Oath" which features Trae The Truth. Hear the track below and download the mixtape in full here.